Kris Lees not only has 25% of The TAB Everest field, but also three representatives in the “consolation”, the $500,000 Group 3 Camera House Sydney Stakes over the same course at Royal Randwick on Saturday. Lees runs Clearly Innocent (Hugh Bowman, $12 on TAB fixed odds) - his sole representative in last year’s inaugural The Everest - Tactical Advantage (Brenton Avdulla, $5.50) and Dal Cielo (Glyn Schofield, $34). 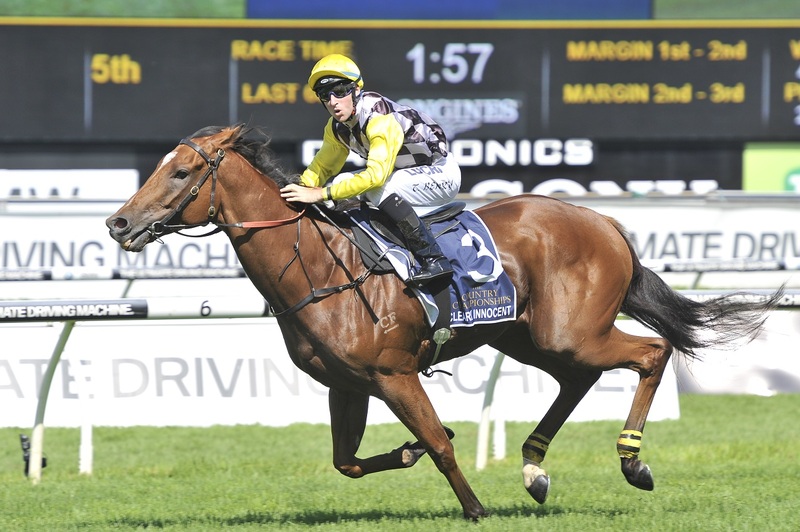 “Clearly Innocent is resuming but is partial to soft ground and will get conditions to suit, whilst Dal Cielo can mix his form his form a bit but has been racing consistently of late in Queensland and is very capable on his day,” Lees said. “Tactical Advantage keeps taking the next step and could not have been more impressive than when he won easily on the inside (Kensington) track at his last start. Lees has put blinkers on last year’s Doomben Cup winner Sense Of Occasion (apprentice Sam Weatherley, $26) in The Star Mile (1600m). The gelding never came into contention first-up in last month’s Group 3 Cameron Handicap (1500m) on his home track, but has since won a 1200m Gosford trial. Evalina (Listed Reginald Allen Quality, 1400m, $18) and Doukhan (Group 3 Craven Plate, 2000m, $151) complete Lees’s contingent of nine The TAB Everest Day runners.